I was asked if I had configured Windows clients for a Puppet server running on Linux. I have, and I write everything down whenever I make some new configurations. So here’s my notes on configuring Windows Puppet clients for Ubuntu Puppet server. Don’t forget to check the official guides. I’m assuming you have puppet server configured. Check this tutorial if you don’t. Make sure that your master and agent machines can reach each other. Replace puppetserver.local with the hostname of your puppetmaster server. Replace puppet-3.1.0-rc2.msi with your puppet installer. 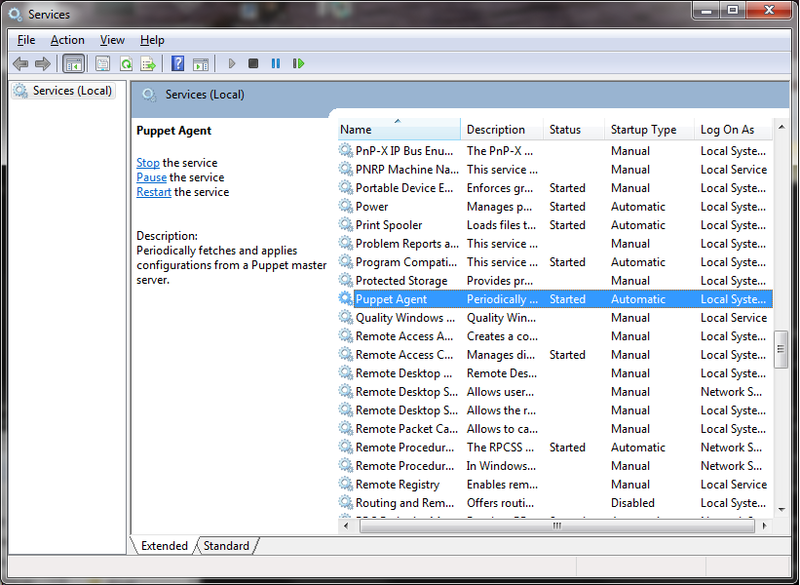 Now you can wait for the agent to fetch the module or you can force it by running the puppet agent from the windows start menu or by restarting the puppet agent service. If everything went fine, you should have hello.txt file on your windows machine. Is puppet agent service running? 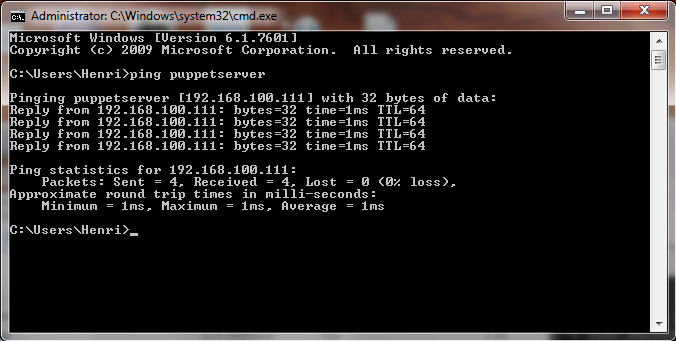 Can Windows host ping the puppet master? Can puppet master ping windows? The hostnames are correct in windows puppet config and in site.pp? Also check the /var/log/syslog for errors.